"They can run up a wall at a meter per second, they can glide, they can right themselves in midair with a twist of their tail and rapidly invert under a leaf running at full speed. And now they can run at a meter per second over water. Nothing else can do that; geckos are superheroes," said Robert Full, a UC Berkeley professor of integrative biology. 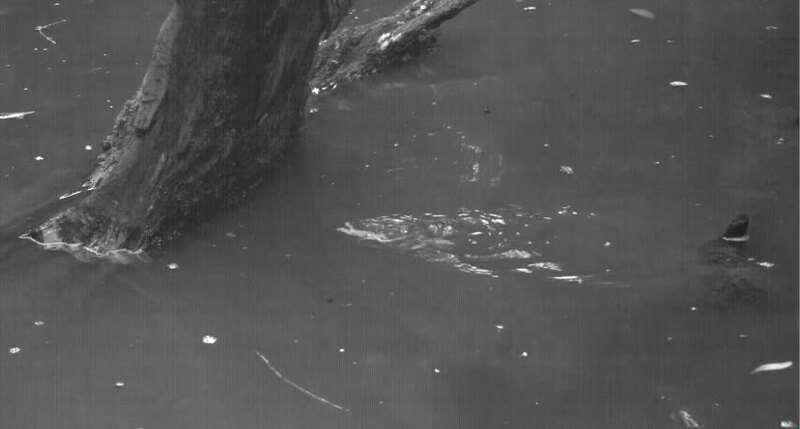 Nirody first became intrigued by geckos' water-running behavior after co-author Ardian Jusufi, now a biophysicist at Max Planck Institute for Intelligent Systems and another former UC Berkeley Ph.D. student, noticed that geckos in the forests of southeast Asia could skitter across puddles to escape predators. In fact, they are able to run at nearly a meter, or three feet, per second over water and easily transition to speeding across solid ground or climbing up a vertical surface. Geckos sprinting on the water's surface exceed the absolute swimming speeds of many larger, aquatic specialists including ducks, minks, muskrats, marine iguanas and juvenile alligators, and are faster in relative speed than any recorded surface swimmer, other than whirligig beetles. Smaller animals like insects—spiders, beetles and water striders, for example—are light enough to be kept afloat by surface tension, which allows them to easily glide across the surface. Larger animals, such as swans during takeoff or the basilisk lizard, and even dolphins rising up on their tails, rapidly slap and stroke the water to keep above the waves. "Bigger animals can't use surface tension, so they end up pushing and slapping the surface, which produces a force if you do it hard enough," Full said. "The gecko's size places them in an intermediate regime, a middle ground," Nirody said. "They can't generate enough force to run along the surface without sinking, so the fact they can race across water is really surprising." "All are important to some extent, and geckos are unique in combining all these," Full said. "Even knowing the extensive list of locomotive capabilities that geckos have in their arsenal, we were still very surprised at the speed at which they could dart across the water's surface," Nirody said. "The way that they combine several modalities to perform this feat is really remarkable." In the lab, she and her colleagues built a long water tank, placed the geckos on a plank and startled them by touching their tails. Using high-speed video, they were able to closely study the geckos' techniques and estimate the forces involved. I'm somewhat perplexed here. 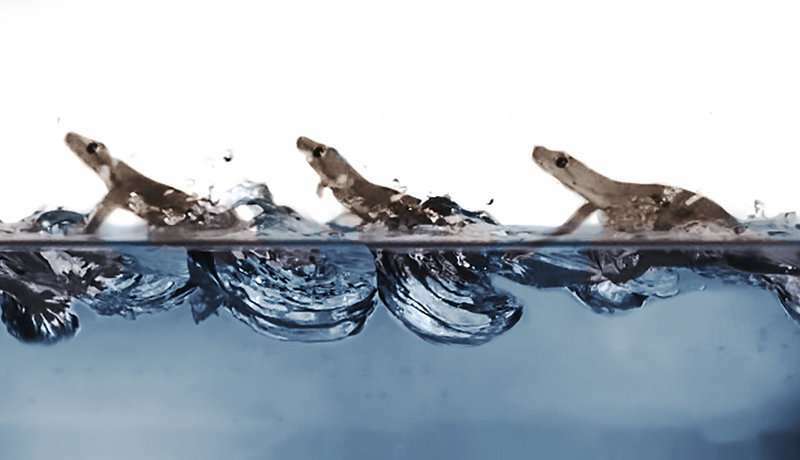 Surely the fact that lizards can run on water has been known for a very long time already and since geckos are lizards they also can run on water. So what puzzles me is why the researchers say this is NEW?????!!!! Are they saying that the discovery of the actual SPEED is new?